Each fall brings the Native Sparrows of North America to my backyard. These are not the introduced species of the House Sparrow but our own much wanted and needed birds. 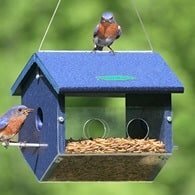 Though they may lack the brilliance of a cardinal or the personality of a chickadee, these sparrows are among the most loyal feeder birds. Many native sparrows eat black-oil sunflower seeds, millet and cracked corn. 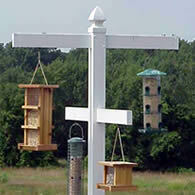 Unlike many birds, however, they prefer to take their meals at ground level or on low platform feeders. 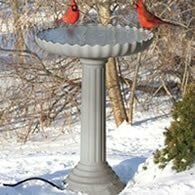 This makes sparrows nice to have around because they help clean up the seeds other birds leave beneath hanging or pole-mounted feeders. At first glance, sparrows all seem to look alike. Trying to identify them can make you dizzy. But if you concentrate on their individual markings, it's fun and not too difficult. Song sparrows exemplify the classic LBJ (little brown job). Careful study, however, will reveal several distinctive markings, such as their pink legs and feet. 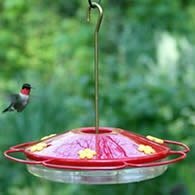 They have a long, rounded tail, which they pump up and down when they fly. Their white throat is bordered by long, dark stripes that suggest a mustache. And the white belly and chest are marked by heavy brown streaks that often converge into a central breast spot. They're not so nondescript, after all. Dark-eyed juncos often are called "snowbirds" because when you see them in winter, they resemble their surroundings: gray above and white below. A junco's charcoal gray body contrasts with its white belly, white outer tail feathers which flash in flight, and the bright pink bill. The body of a female junco is a duller brownish-gray. Some sparrows can be identified just by seeing their heads. Handsome white-throated sparrows, as the name suggests, have a prominent white throat. Their head is marked with bold black and white stripes. The broad eyebrow stripe is yellow in front of the eye and white or tan behind it. 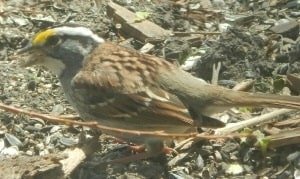 White-crowned sparrows look as though they are wearing a bicycle helmet because of the black and white stripes on their heads. The aptly named golden-crowned sparrow, a bird of the Pacific coast, has an orange-yellow stripe through the center of its crown and a broad, black border along the sides. Both male and female Harris sparrows are strikingly marked with a black crown, face, throat and upper breast. Tree sparrows are easy to recognize. Look first for a dark spot in the middle of an otherwise plain breast. Then note the rusty crown, a fine rusty stripe behind the eye, two white wing bars and a streaked back. 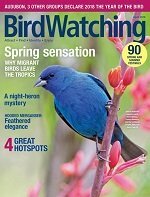 If you've had trouble identifying the native sparrows ground feeding in your yard, or perhaps never even tried, knowing what to look for will make it easier. Use a field guide and a pair of binoculars, and you'll become a sparrow specialist in no time.